All Stars Media posted Wednesday October 3, 2018. The Mainline DynoLog Dynamometers All Star Series secure driver rewards again this oncoming season. Bar Up Bullbars has again offered to continue with some cool prizes to the driver that finishes in 8th place in the A Main at every round. 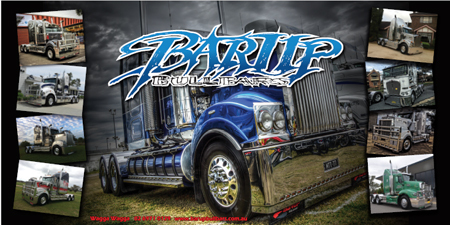 “Shaun Forrell, Proprietor of Bar Up Bullbars is a great supporter of the Series as both a sponsor and a driver. Shaun has been racing with the series since we started and attends as many shows as his work commitments allow. 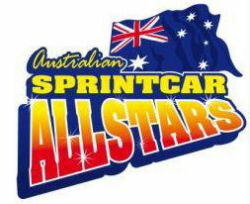 His dedication to 360 racing is awesome and we really do appreciate it.” Promoter Searle says. “At a recent trip to Alice Springs Hall of Fame truck museum we spotted a Bar Up Bull Bar on one of the Kenworth trucks in the Kenworth Hall. What an honor for them.